Only $9/month* for Over 150 Premium Products! The Schema is the fastest SEO WordPress theme you will ever use. It is a fully responsive, mobile-first, multi-purpose WordPress theme which can be used on personal blogs, large publishing websites, and eCommerce websites alike. It has a pixel perfect design, microscopic load times, and tons of SEO features out of the box. The coupon business is huge with big players like Groupon worth over $2 Billion. 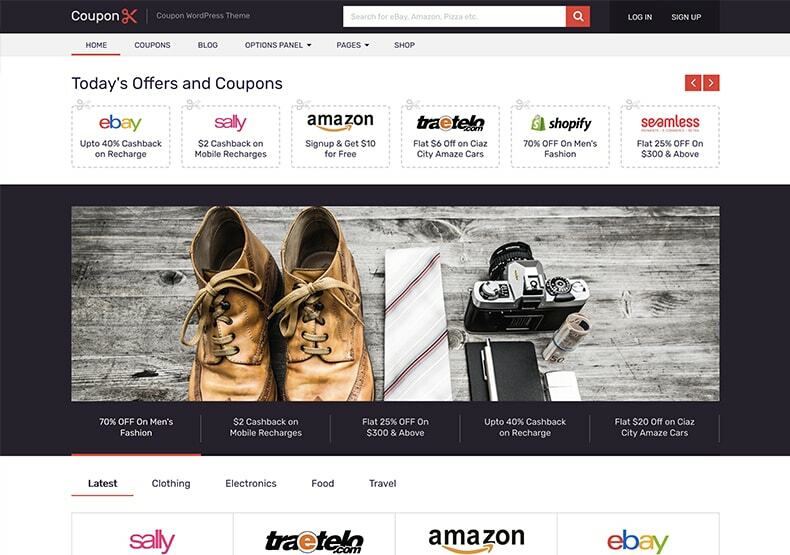 The Coupon theme is designed especially for coupon websites, and it is lightning fast, fully customizable, and SEO friendly theme that also supports WooCommerce. You can use the Coupon theme to create high converting websites that make money fast. WooCommerce is world's easiest solution to sell online. The eCommerce theme is designed to be the perfect WooCommerce theme for physical, digital, and even affiliate products. It's a mobile-friendly, beautifully designed theme with tons of eCommerce specific features. The big daddy of social blogs, ViralNova, which sold for a modest $100 Million used one of our themes. That alone speaks volumes about the theme’s social features. 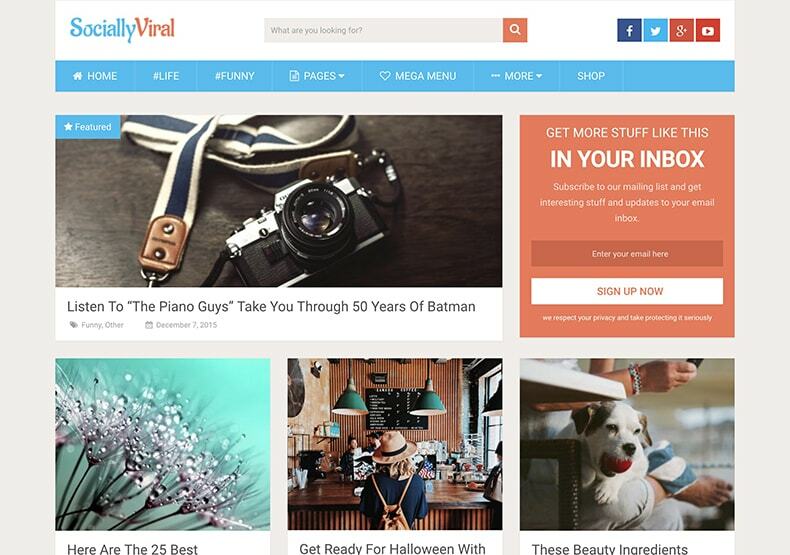 The heavy focus on the visuals and a peppy color scheme make SociallyViral the perfect candidate for your next social website. 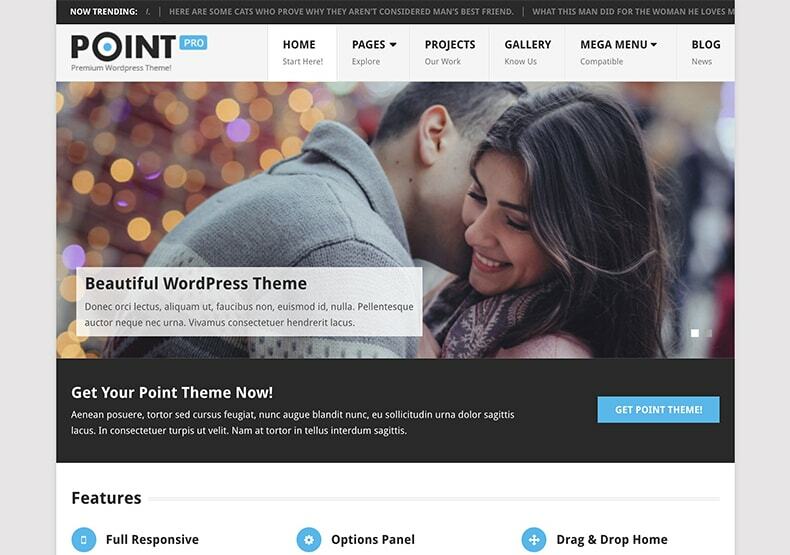 PointPro is the perfect theme to market your or your client's business. Its drag and drop homepage sections let you create and customize new layouts without technical help. PointPro is fully responsive and features our powerful and easy to use control panel, which enables you to customize the theme’s features completely. WP Review Pro is the most powerful review plugin on the planet. 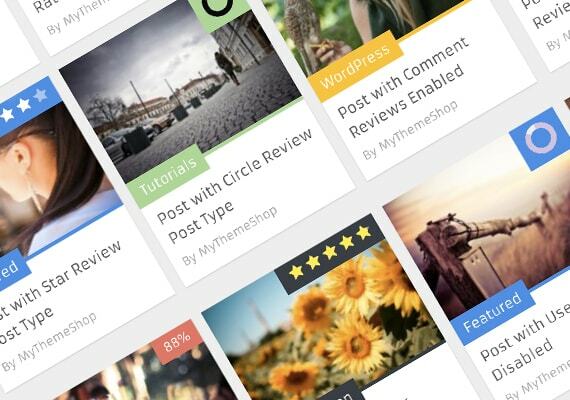 Using WP Review Pro, you create multiple types of reviews that are pleasing to the eye. Each review created with this plugin is perfectly viewable on all devices and loads lightning fast. The built-in rich snippet support means that WP Review Pro will also fetch your more traffic from Google. 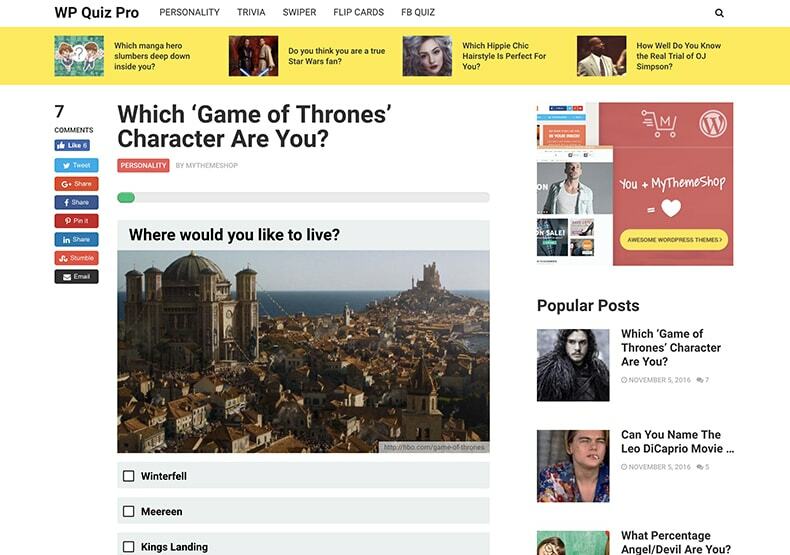 Buzzfeed recently generated 18 million visitors on a single page that contained just a quiz. You too can tap into the human curiosity with the help of WP Quiz Pro. With 5 types of quizzes and tons of other features, WP Quiz Pro is best WordPress plugin to build engaging quizzes and boost traffic. 70% of your visitors will never come back to your website. The solution? Email lists. Start building email lists on steroids with the powerful combination of WP Subscribe Pro and WP Notification Bar Pro. These powerful plugins help you convert cold visitors to engaged email subscribers. Start building a social following and an email list, even if you have a handful of visitors with Content Locker Pro. 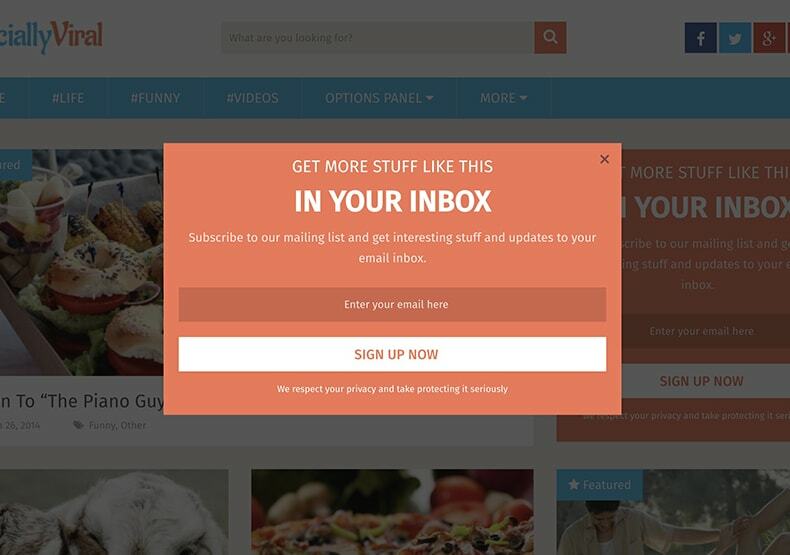 Its unique social content locking feature incentivizes users to subscribe or share your content. 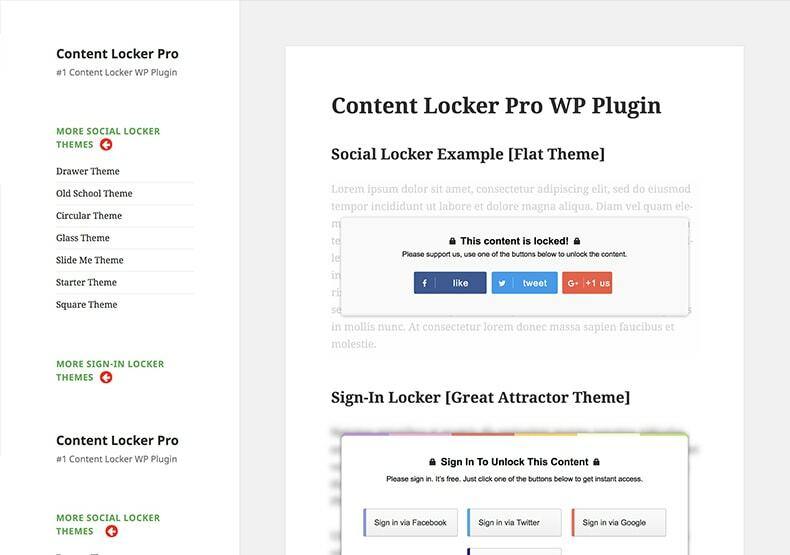 Content Locker Pro is the perfect plugin to gain an audience with its support for many social media channels and multiple email service providers. One of the most time-consuming tasks in managing an affiliate website is managing affiliate links. 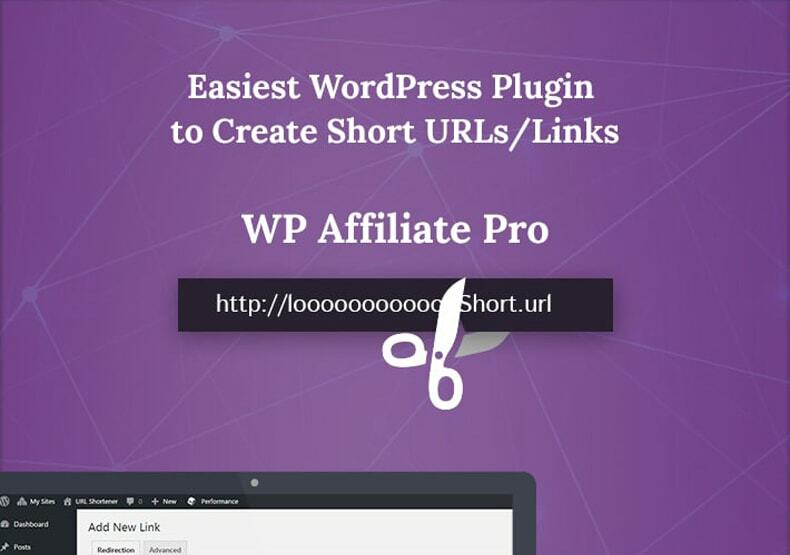 URL Shortener Pro flips the script and makes URL management a breeze. It's advanced features like URL cloaking, and Shortcodes make it easy for you to create, manage, and use affiliate links on your website. Is Extended Membership Right for you? Are you still not sure if the Extended Membership is right for you? Let us help you out. ... then the Extended Membership is PERFECT for you. Do you own multiple websites or planning to start new websites soon? 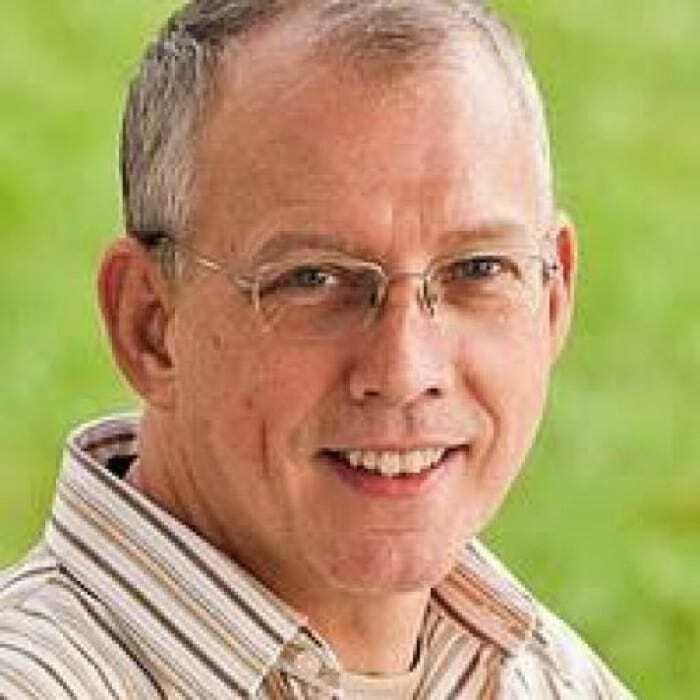 Do you build websites for other people or want to start building websites for other people as well? Would you like to use products that are lightning fast, and also bring you more traffic? Would you like to work with a company whose support is always delightful and most helping? Would you like working with professional developers who also help build WordPress itself? Would you like to pay a small fee for tens of world-class WordPress products worth over $6000? If you nodded your head in agreement to any of the questions above, then you and the Extended Membership are made for each other. Keep reading to find out what the membership has to offer. The only thing more popular than MyThemeShop products is our support. 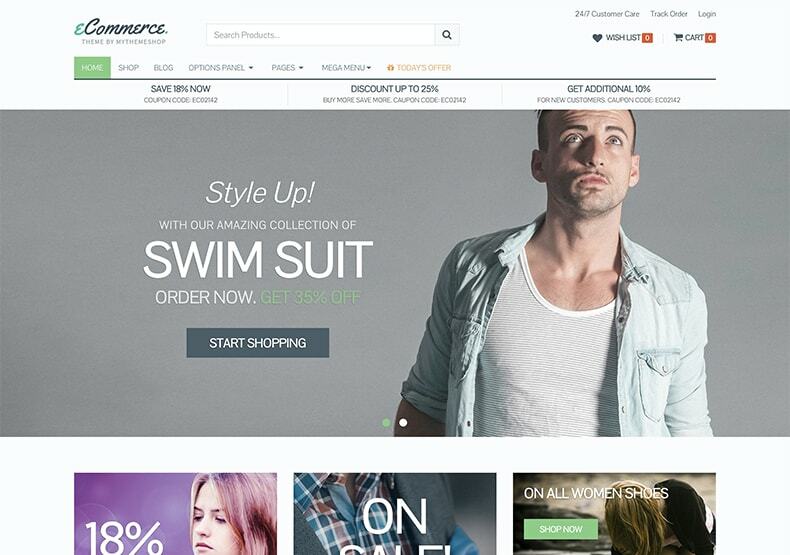 Every MyThemeShop theme and plugin is backed by WordPress experts who are available 24x7, every day of the year. MyThemeShop products are secure as a vault. They are created with modern security principles in mind and tested relentlessly at the highest security standards before being available for sale. MyThemeShop not only creates useful WordPress products but also helps build WordPress itself. MyThemeShop developers regularly contribute to the WordPress core to take the WordPress community forward. Every MyThemeShop product ships with an advanced options panel, which makes it easy and effortless to configure any feature. All customizations of the product can also be done from the options panel. Large organizations have high standards and MyThemeShop products match those standards. That is the reason many multi-million dollar organizations use MyThemeShop products. With a strong track record of 5+ years and a user base of over 400k users, MyThemeShop is one of the largest and fastest growing WordPress related organizations today. We are proud to serve a diverse group of users from around the globe. With mammoths like Viral Nova to thousands of small publishers, from hundreds of small bloggers to big influencers like Matthew Woodward and Shoemoney, we have seen them all. This diversity helps us understand the needs of all kinds of bloggers and create world-class WordPress products that help bloggers of all sizes achieve their goals. Can I try the themes before purchasing? Of course. All our themes have interactive demos with multiple layouts pre-configured. You can use the demos to test drive the theme/plugin, become familiar with the product, and also customize it to some degree. If you want to try out the theme on your website, you can purchase it worry-free. 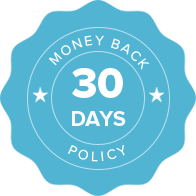 In case if it does not suit your needs, you are backed by our 30-day refund policy which will have you covered. Is customer support included with the membership? Yes. Every product included with the MyThemeShop is backed by our support. The support stafff is competent, helpful and friendly, and they are available to help you out 24x7x365. It depends. Most of the support queries we receive get answered in less than 24 hours. But due to the volume of requests and your time zone, it may vary. Many of our support requests get answered in just a few hours. We don't push updates if they are not needed. Most updates come after we listen to user feedback and decide on new features to be added. However, if there are any security concerns (which may occur due to other products too), we push updates immediately. We also keep track of core WordPress upgrades and update our products to be compatible with the latest version. Unfortunately, we don't offer customization services for products. However, it's important to know that many of the visual aspects of all our products can be customized easily using our control panel. In that case, there would be no need for special customization. But, if you were referring to adding additional functionality, then we don't do that as of now. You can find many competent developers out there who will be able to help you out. Remember that if you do get your product customized, then we won't be able to provide any support for that product. Can I see other examples of other people using your themes? Of course. We boast over 400k users for our products and we hand pick them to showcase them on our website. [Click on this link] to visit the customer website showcase. As a Membership Plan customer, the support entitles you to have all your issues resolved about any MyThemeShop product. This includes both themes and plugins. Our support will be limited only in 2 cases. Please note that we will not abandon the support in any case, but because of the nature of the above problems, the support team cannot guarantee a resolution. Is the documentation (setup guide) included? Yes. Our products are shipped with extensive documentation that you can read to understand the product in and out. Not only that, but we also included narrated, high definition video tutorials with our products which explain all the features of the product visually. For how long are the products maintained and updated? We do not plan to abandon any of our products. But some older themes and plugins might be phased out as they will be replaced with better versions. However, support for the older products will still exist and we will keep them updated to be compatible with newer versions of WordPress. Unfortunately, we do not provide migration services. There are plenty of services our there which can help you out. However, we are always available to answer any setup question that you have throughout the process.